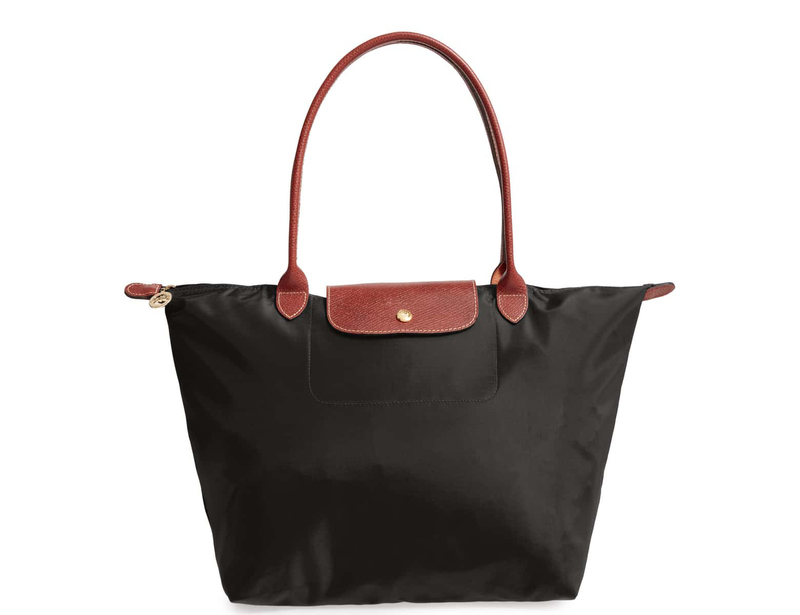 Enter to win this classic black Longchamp below! 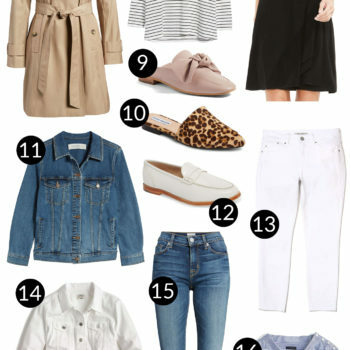 And we’re back with another “Shop my Closet for Free” post–this was the first one!–because we’re nearing the end of our KonMari challenge, only one month behind schedule.  We’re actually wrapping things up THIS WEEK, so you can soon expect three blog posts on how we handled the categories of Books and Papers (which we combined), Miscellaneous (Kitchen, Bathrooms, Garage, Kids’ Stuff, etc. ), and Sentimental Items. 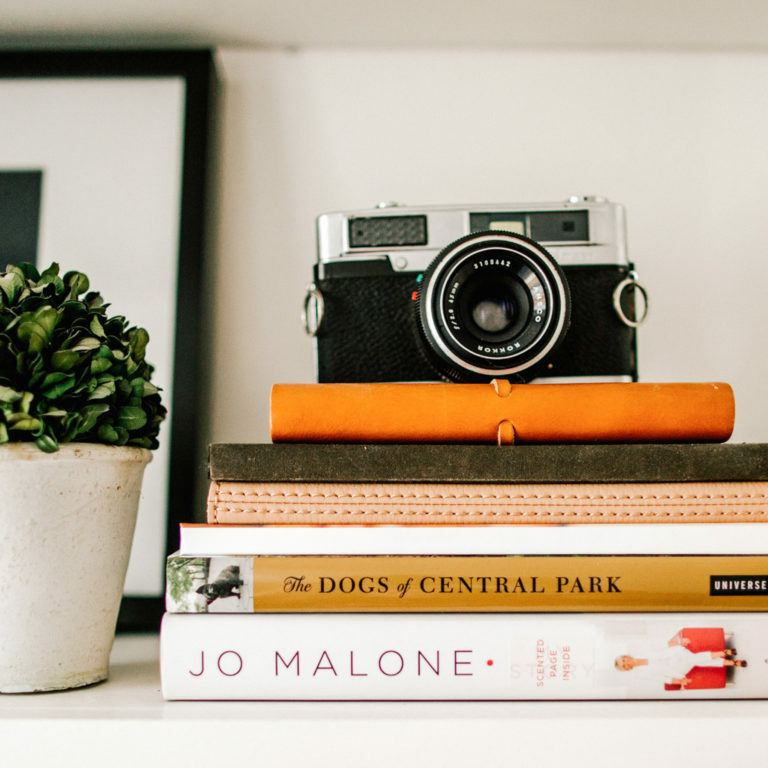 While we’re not 100-percent done as I type this, I can say that thus far, the easiest categories for me have been Books and Miscellaneous, and the most challenging have been Papers (simply because it’s so time-consuming and tedious) and Clothing. Oy, is Clothing tough! Some of the products are new and some I’ve worn before. But everything is clean and has been taken care of very well! I promise that I’m not dirty. :) For things that are not brand new, I’ve either washed them or had them dry-cleaned. 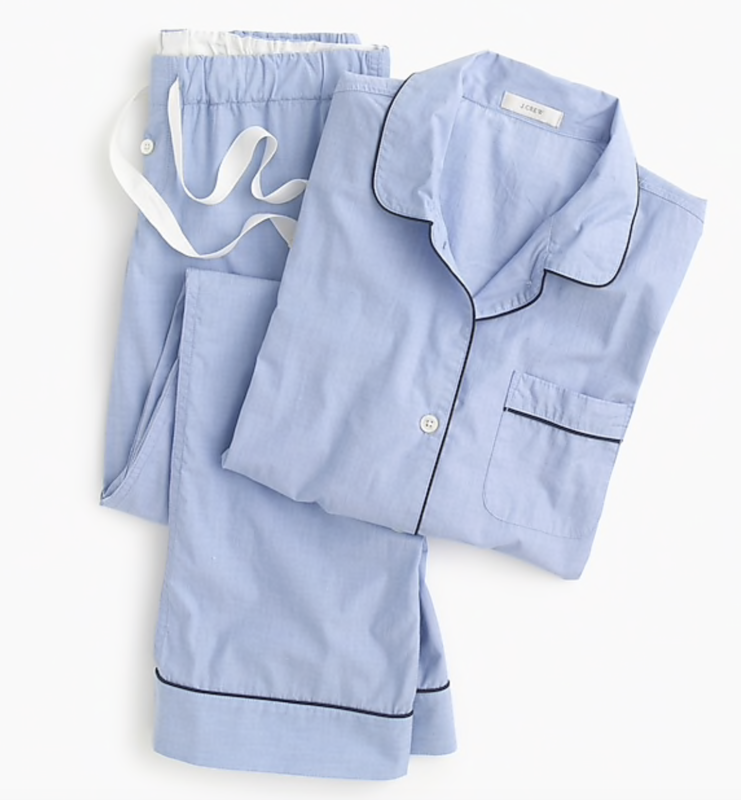 I have not, however, ironed… so you may receive products that need a good ironing/steaming. (Also, Mitch is stuffing the mailers, and he literally punches his own clothing into his suitcase. So…) But that’s fine, right?! *Most* products have been generously gifted or are samples. 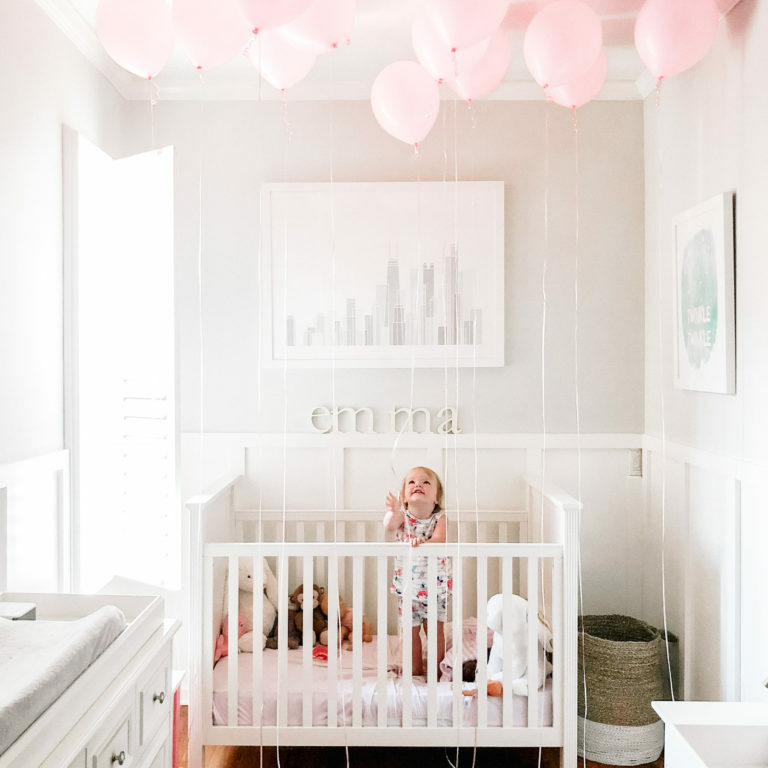 When I started the challenge, an initial struggle was figuring out what to do with gifted products, of which I have a lot but don’t have the space (or need) to keep. While I have sold some that were part of compensation for work, it didn’t feel so great to sell those that were sent to me strictly as gifts. Giving them to you, though, feels right! I’ve chatted with several brands about this plan, and they have been in favor since it will provide brand exposure, whereas selling or donating would not. (Don’t worry, though! SO much has been donated.) 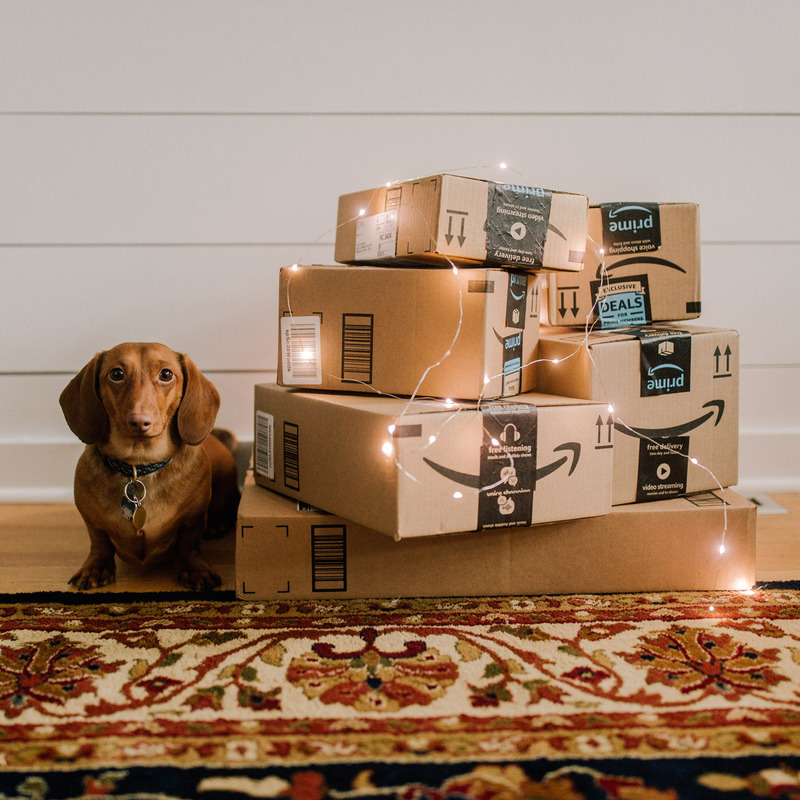 The reason why I own so many brand new, unused products is because I receive a lot of surprise press packages and shipments that include products in multiple sizes. Sometimes, based on my work load, I simply don’t have time to wear and feature them… and other times, one size doesn’t work for me. While I do send a good amount back to companies, I’m often told to simply give it away or donate. So that’s why you might see brand new stuff here! The sizes are all over the place, but yes, they’re limited. This is a bummer, for sure. I wish I owned products in every size that way this little project would appeal to everyone! But if my stuff doesn’t work for you, perhaps it would for a friend or family member? This time, there are a lot of bags and jewelry. I’m hoping that this makes it more fun for ladies who aren’t my size! There are also quite a few monogrammed pieces. Where are my “KSL” girls?! PLEASE! Someone out there MUST have the same initials as I do! Some products are still available, and I’ve linked as much as I can in case you’re interested in buying direct from the brand or retailer. 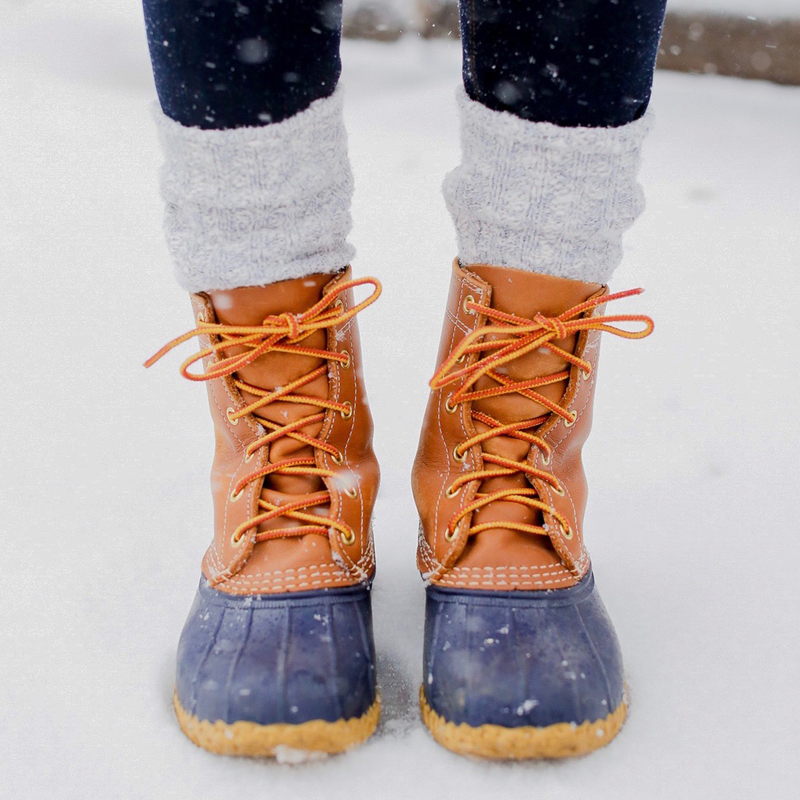 These links, when available, will also provide sizing information for clothing. But yeah: if sizing info isn’t provided, just take your best guess! There will more rounds of “Shop My Closet for Free.” I have a lot of stuff, and the packages continue to arrive.  Keep an eye out. Right now, I’m thinking I’ll put stuff up on the blog once per quarter. If no one enters to win a particular product, it will be donated. 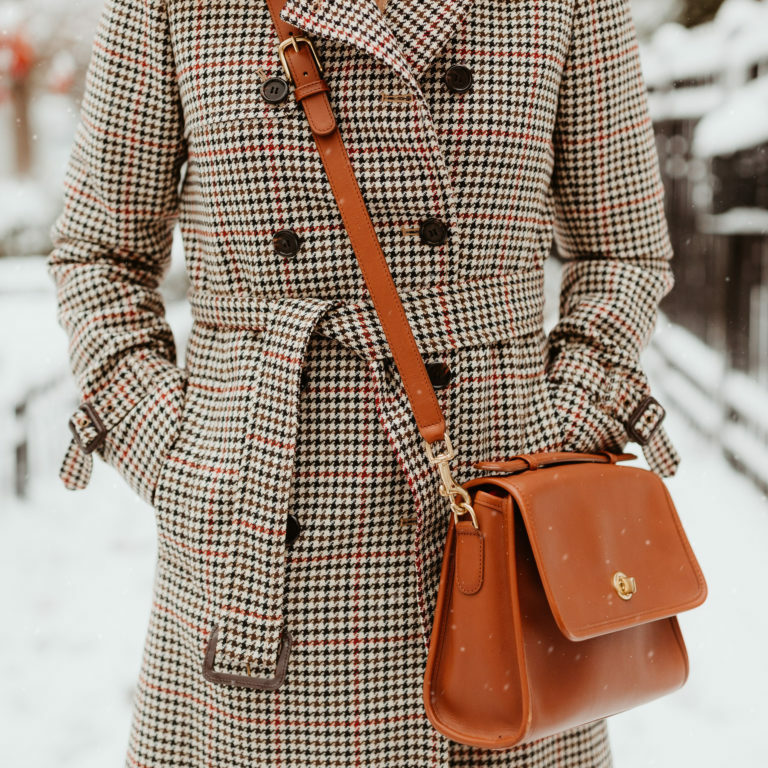 You will not see the same products in future rounds of “Shop My Closet for Free,” so be sure to enter now if you like it! I will not be doing anything with your personal information. When you enter to win, your information will be recorded into Mitch’s Google Drive, and then deleted when the “giveaway” is over. 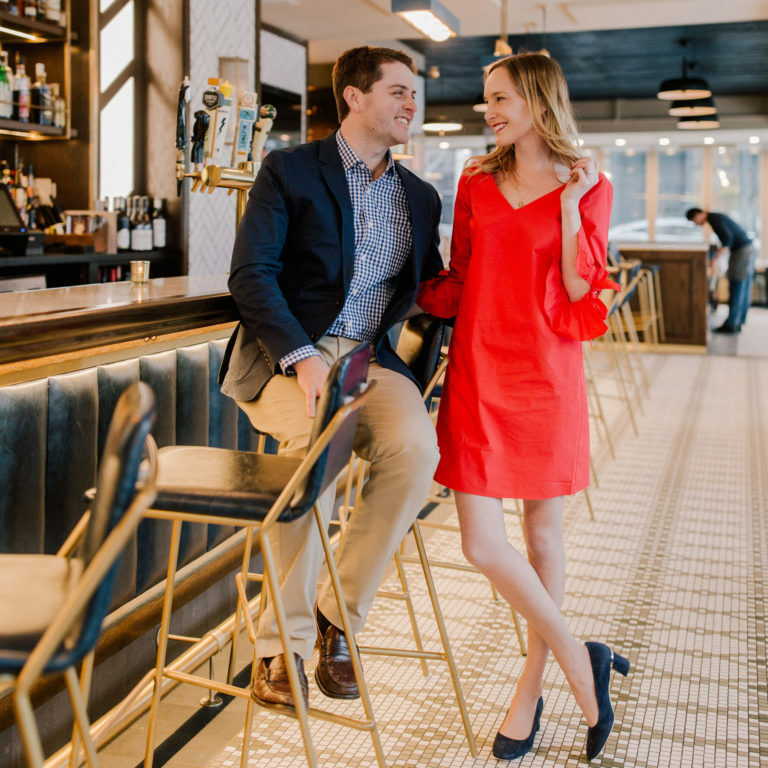 (You can, however, opt to sign up for the Kelly in the City newsletter through the form. If you don’t want to sign up, simply check the box that says “no thanks” — or check nothing.) But trust me: we are far too tired to do anything with your info. (Really. Like, my eyes are drooping as I’m typing this, haha.) Rest assured, it’s safe with us! Likewise, please respect our privacy and safety, and do not share our mailing address with anyone. (Sometimes USPS requires it for print-at-home postage.) Note: This totally wasn’t a problem for the last round. THANK YOU! Winners will be selected by Mitch and his fancy apps. It’ll be totally random. This will likely happen in about two weeks. Packages will also be sent out by Mitch. In pink mailers. They’re really cute. He picked out the color. I was equal parts shocked and delighted. I will not be announcing winners; you’ll just be pleasantly surprised if a package arrives on your doorstep! This is to prevent burnout on my part. ;) I want to keep this as easy and streamlined as possible so that I keep doing it. Woo! 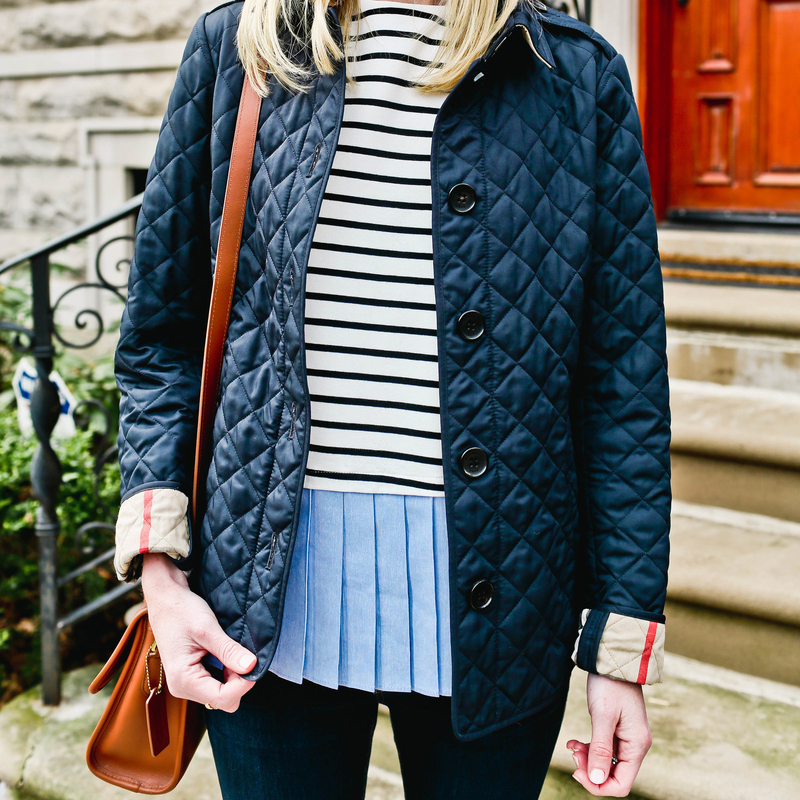 This pleated top is ADORABLE. (Size small.) 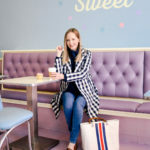 I wore it in this blog post. Looking to purchase one? This top is SO similar and really cute! Here’s the newer version of my Burberry jacket, btw. 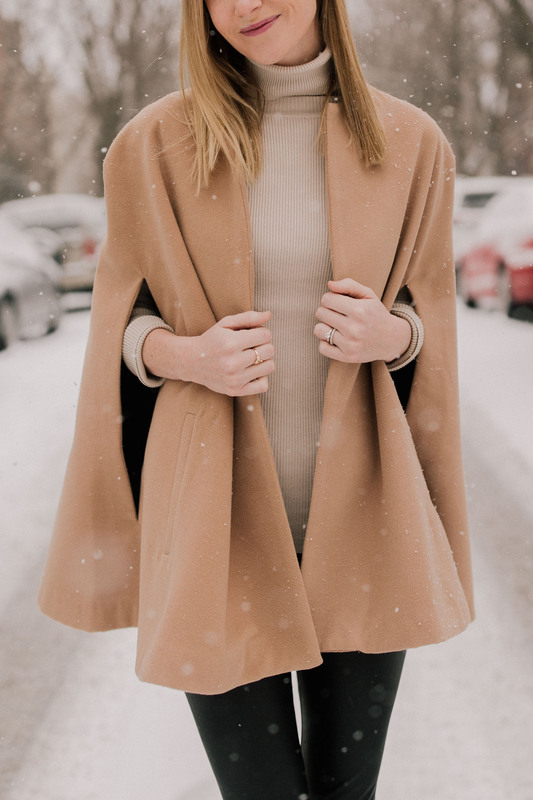 This is a gorgeous cape (seen in this blog post) that goes with anything, and it’s also one-size-fits-all. See?! I have a lot of ponchos/capes, haha! This one–featured on the blog here–is one-size-fits-all, too, so it’s great for anyone. 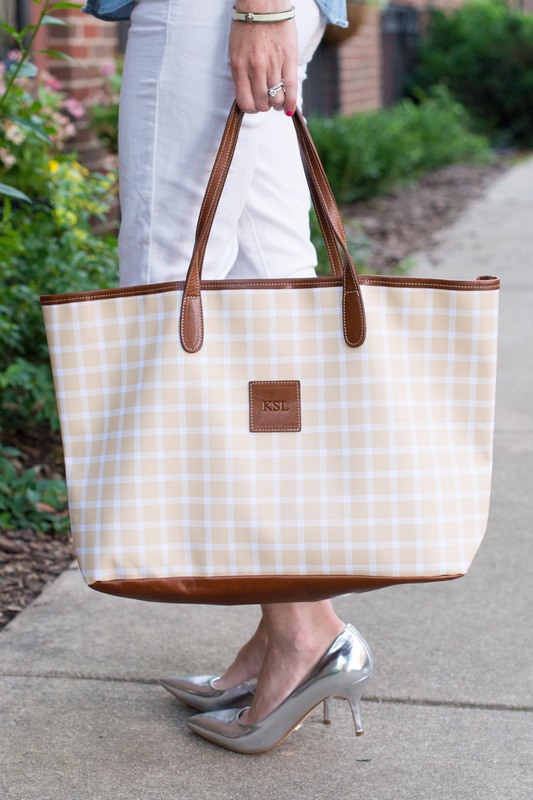 I’ve had this beautiful Cinco Powell tote (seen on the blog here) for the longest time, and I’m hoping to find someone with the same initials as me who’d like to own it! 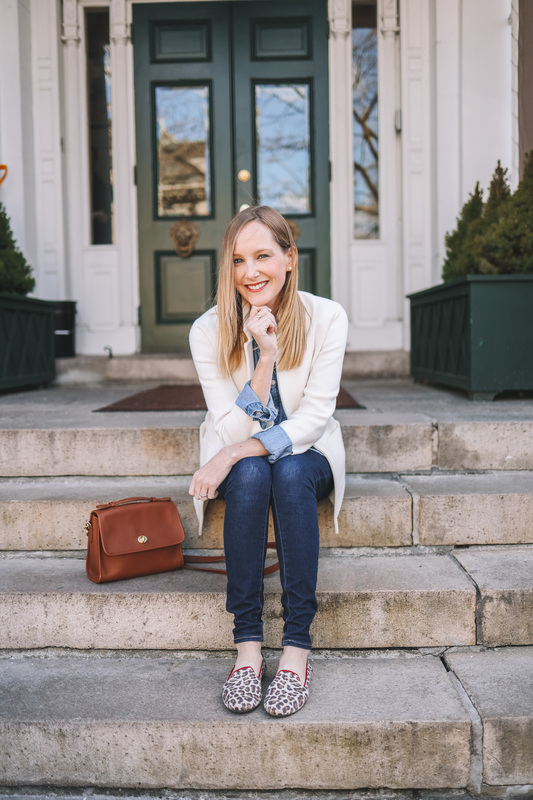 Recently featured on the blog here, this Mark & Graham leather bag is also monogrammed with my initials. Any “KSL” girls out there?! 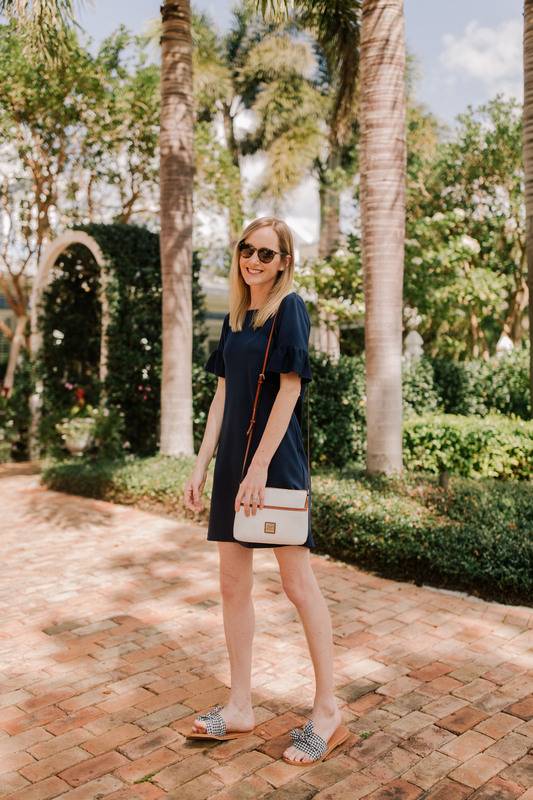 Cutest no-wrinkle dress, featured on the blog here! (Size XS.) 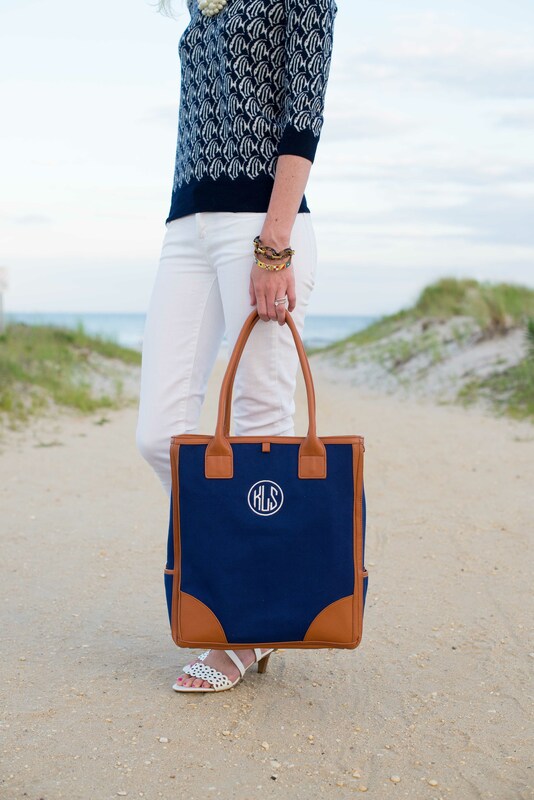 You can shop Tuckernuck’s current Sailor-Sailor collection here, too. 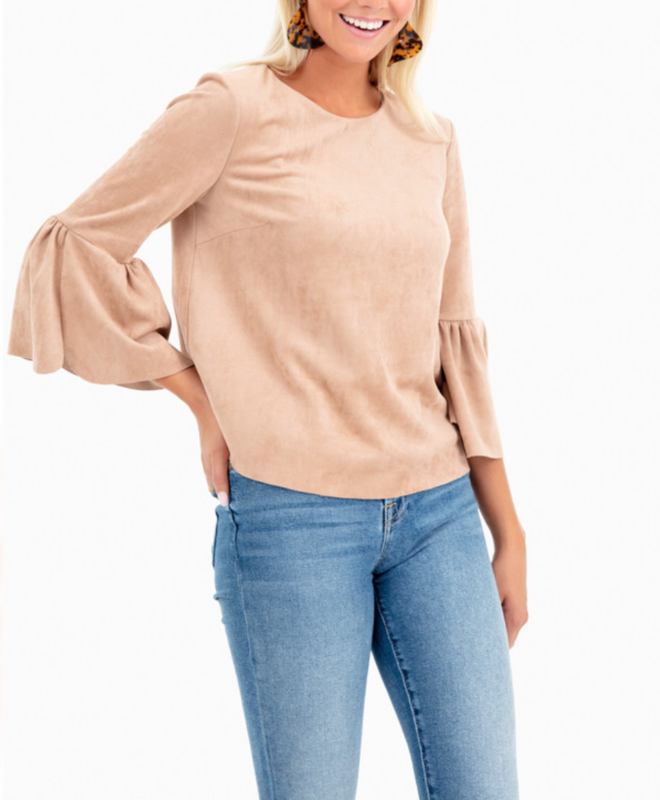 This beautiful suede top (new without tags, size small) sadly arrived just as the bump was starting to make shirts too short on me. ;) Bumpless Friends, this would be perfect for you! 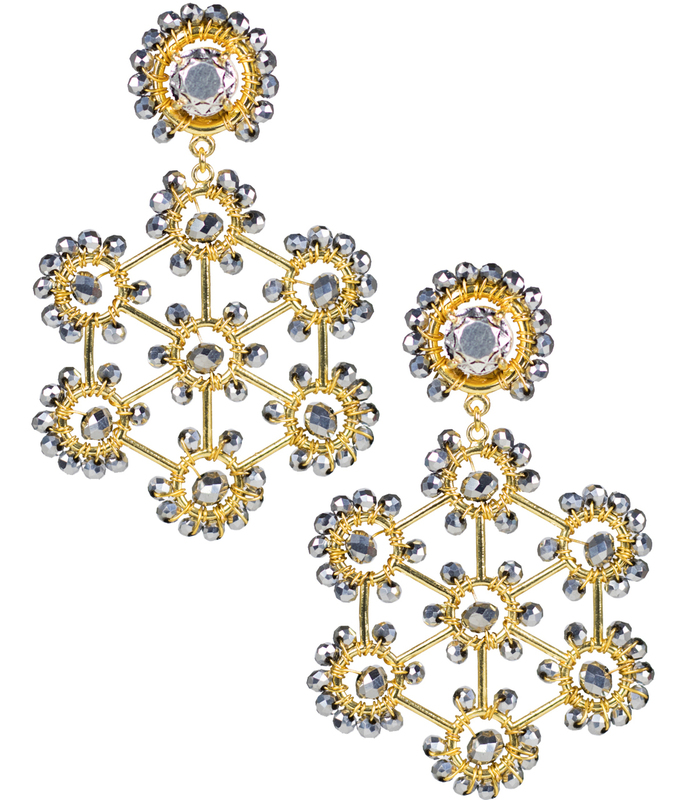 These are brand new clip-on earrings from Lisi Lerch. 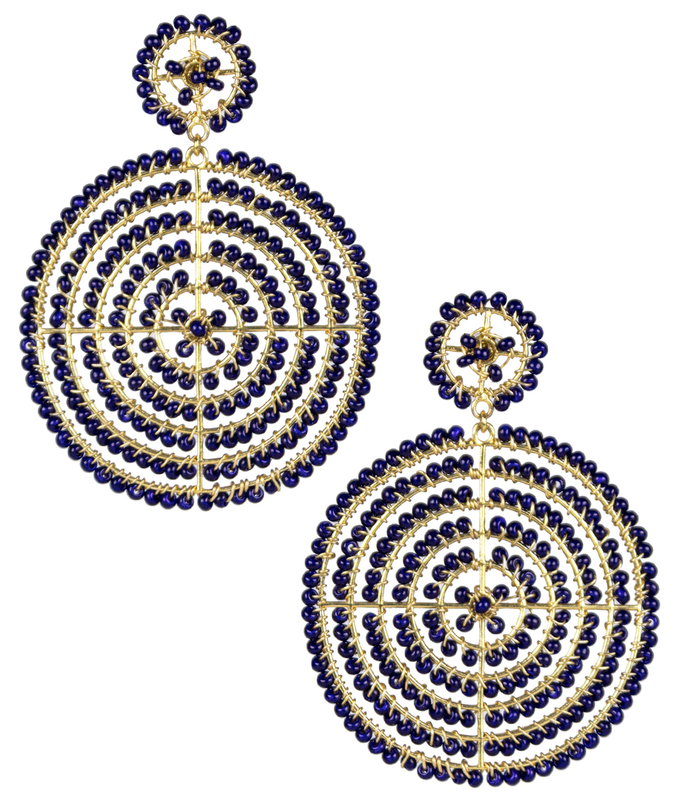 Another pair of brand new clip-on earrings from Lisi Lerch! 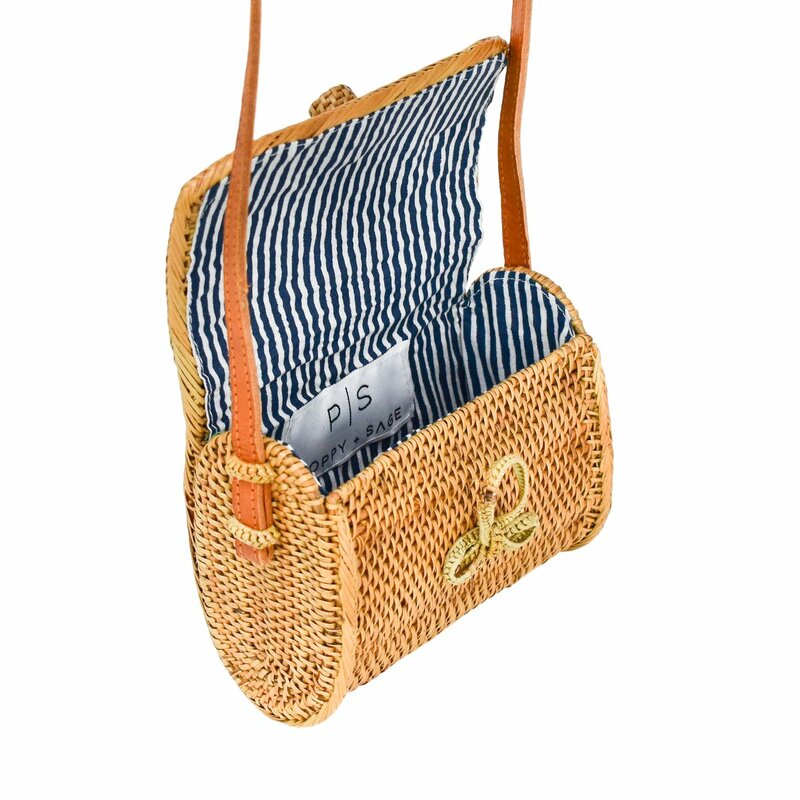 This mixed striped clutch (brand new!) 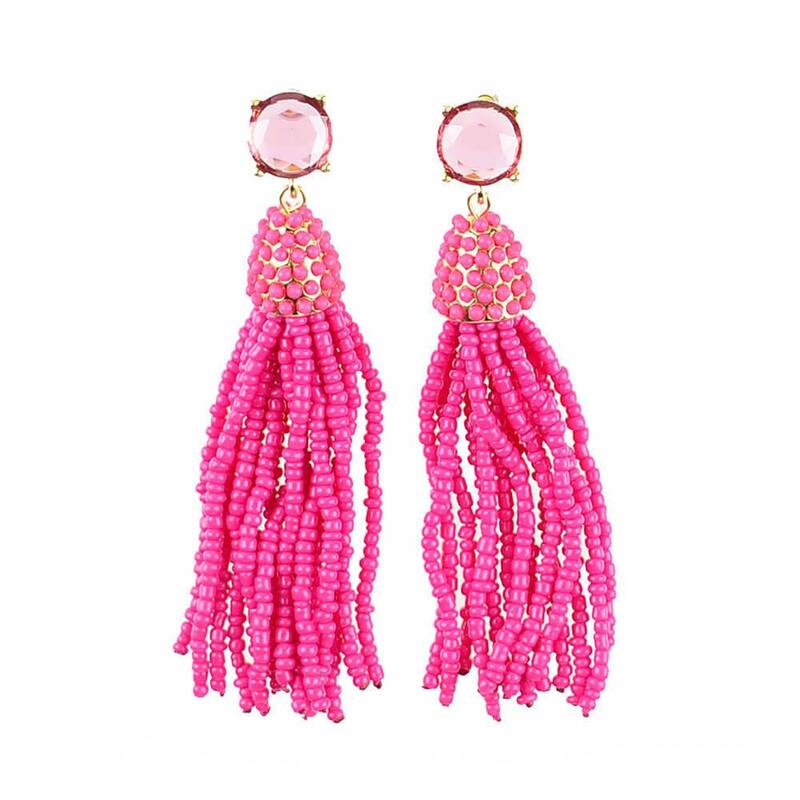 is such a great way to add a pop of color to navy, black or white outfits. 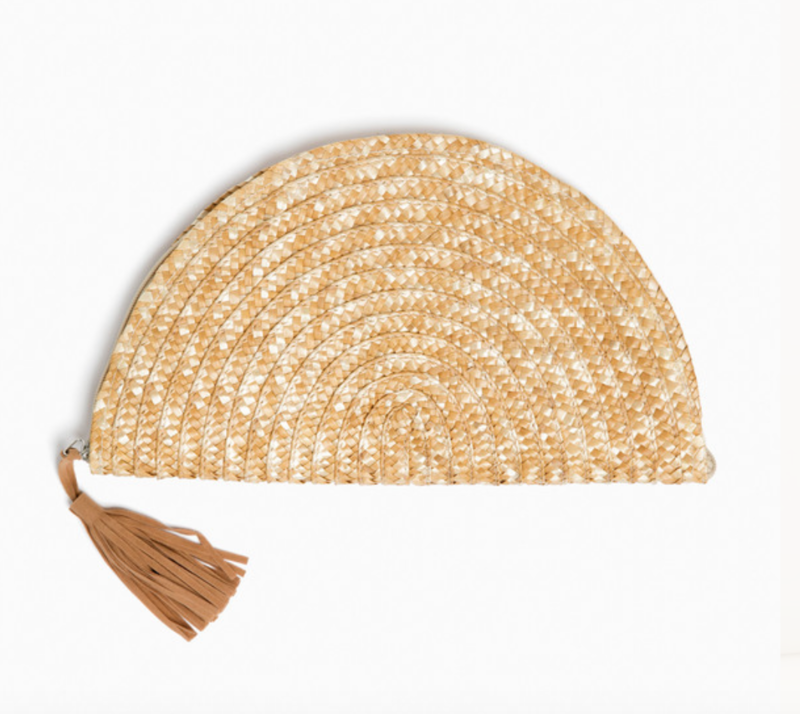 :) I also love this tortoise clutch; it’s one of my most-used pieces! This Britt Ryan black lace peplum top, size 0, is such a classic. 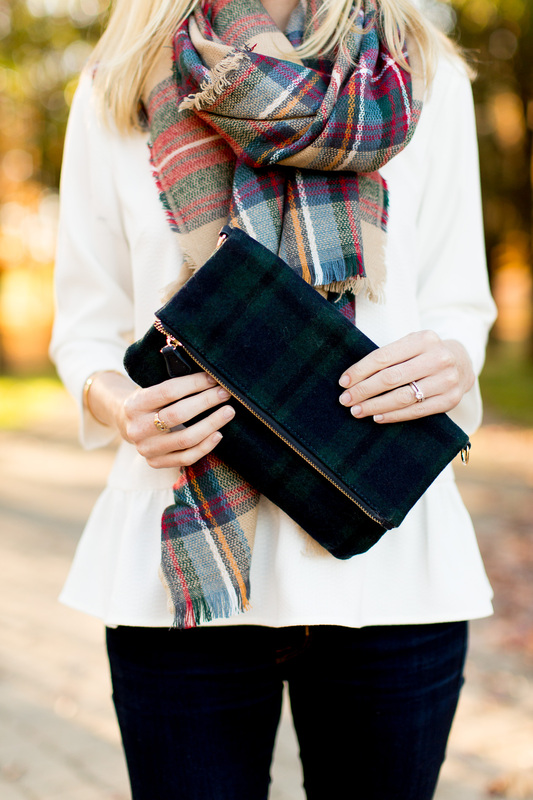 This sweet black watch plaid clutch is obviously for the fall and holidays, but there’s nothing like lining up your outfits eight months in advance. ;) I wore it on the blog here. This Sailor-Sailor black ruffled top (size small) is brand new with tags. It was a surprise Christmas gift, but the bump was too big at that point. ;) Again, perfect for one of you bumpless ladies… and something that could be worn year-round, not just during the holidays! 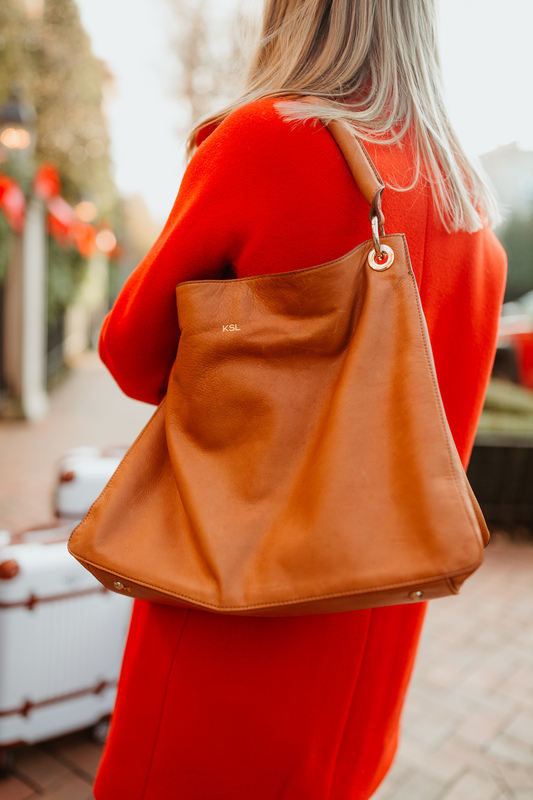 Seen on the blog here, this bag has been a go-to for several years, but it looks brand new! 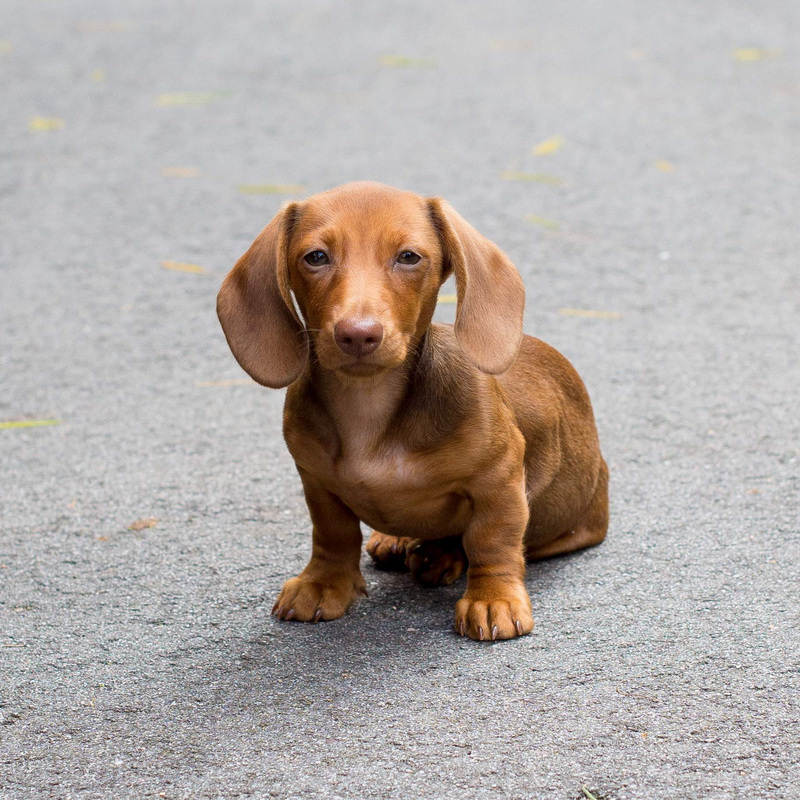 Isn’t this the cutest?! 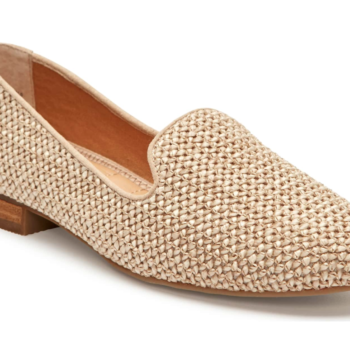 It would be perfect with any summer outfit! Super affordable, too. Oh my gosh. 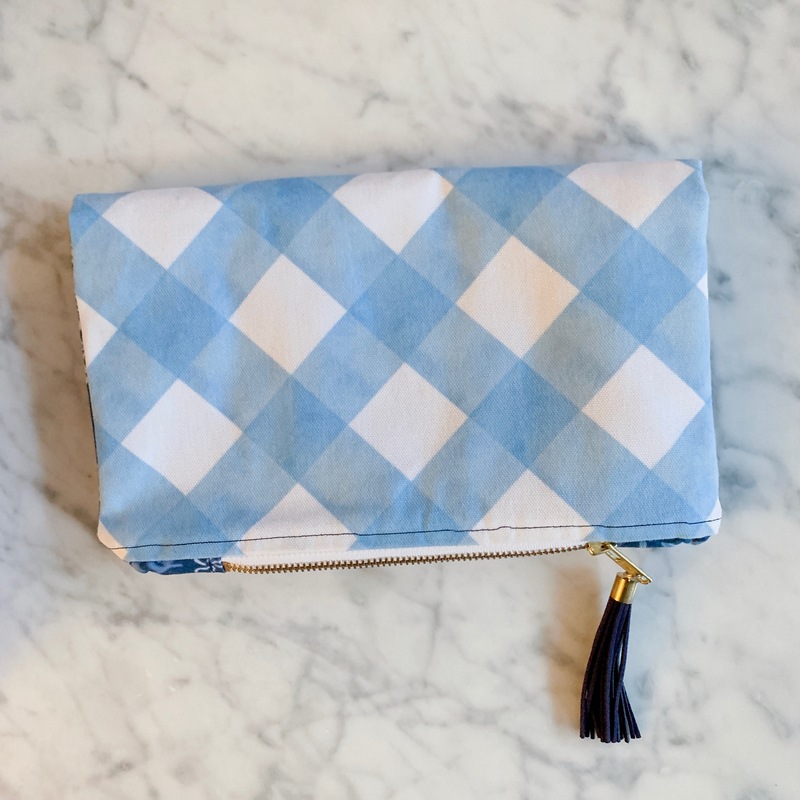 These photos were taken so long ago, but again, hoping to find someone with my initials for this gorgeous Tipsy Skipper clutch! I KNOW. Why am I giving this away?! 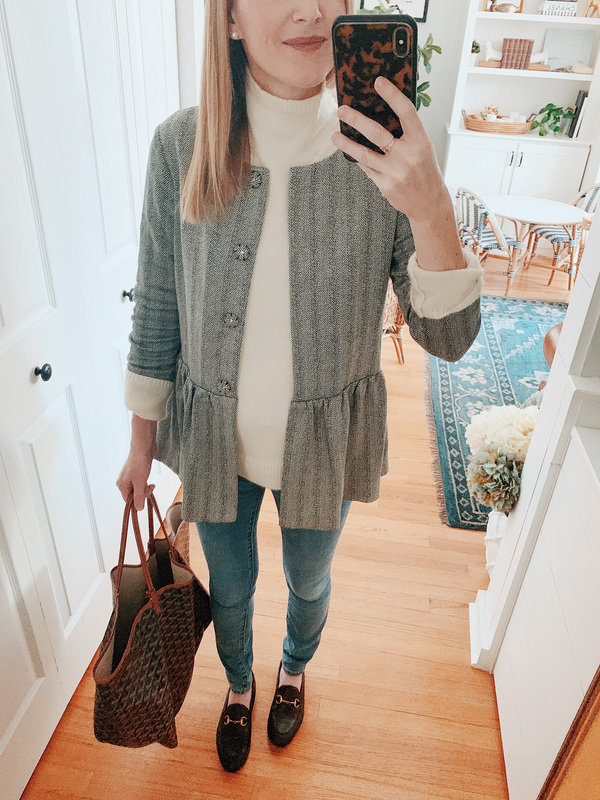 To be honest, I just don’t wear that much black on a casual or even work week basis anymore; I’m more of a navy girl, with black reserved for special occasions. I am, however, keeping my navy tote! 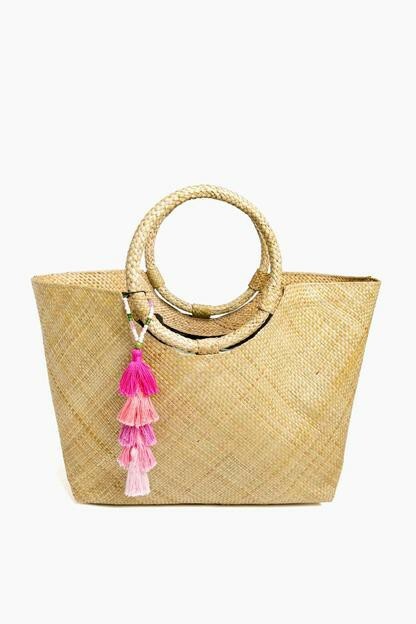 Without a doubt, the cutest straw bag on the market right now. Mine has a palm print on the inside. :) Still available! I need another girl with the initials “KSL.” I know you’re out there! 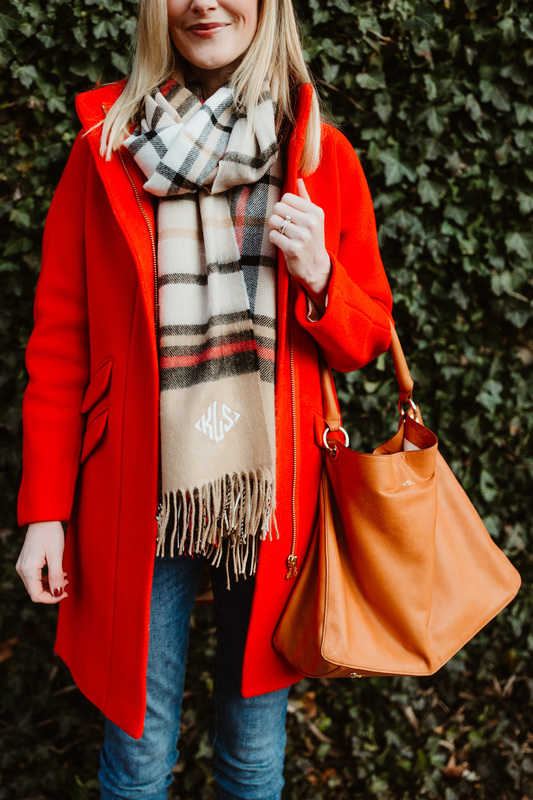 This beautiful scarf (last seen here) is so great for the fall and winter, but Kelly Larkin is trying to reduce her scarf collection. ;) Who wants it?! Okay, second to last “KSL” girl needed! 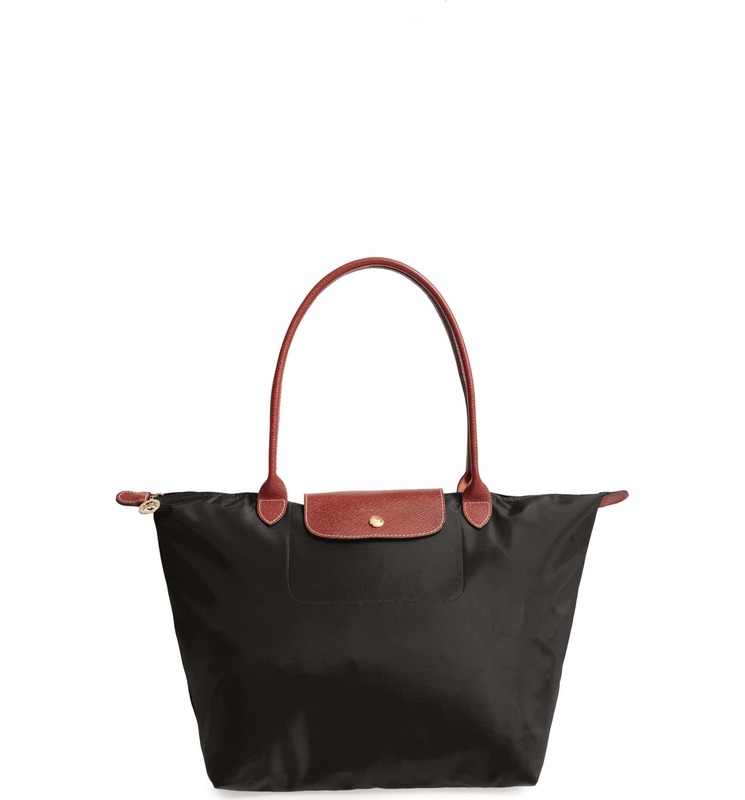 This Barrington Bags tote is such a timeless bag; I liken it to the Louis Vuitton Neverfull! It appeared in this blog post. Throwback, right?! 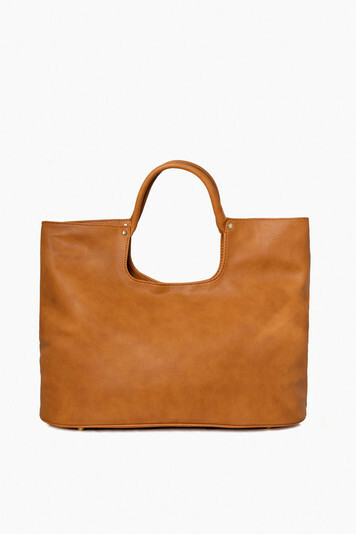 The very last “KSL” tote! 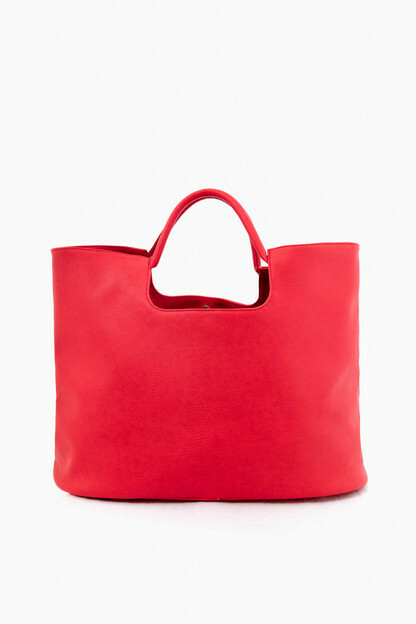 I just used this tote last week, and it’s another bag that pains me to give away! But yeah. I just have too many totes. 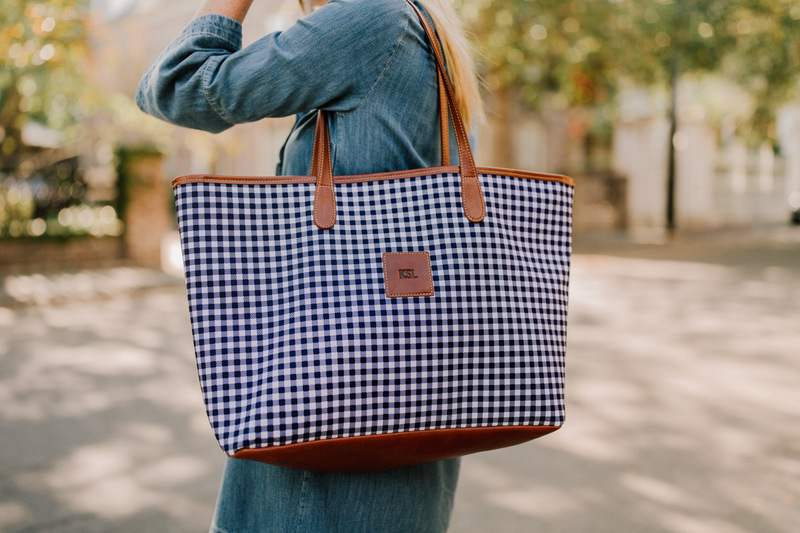 Isn’t the navy gingham awesome, though?! 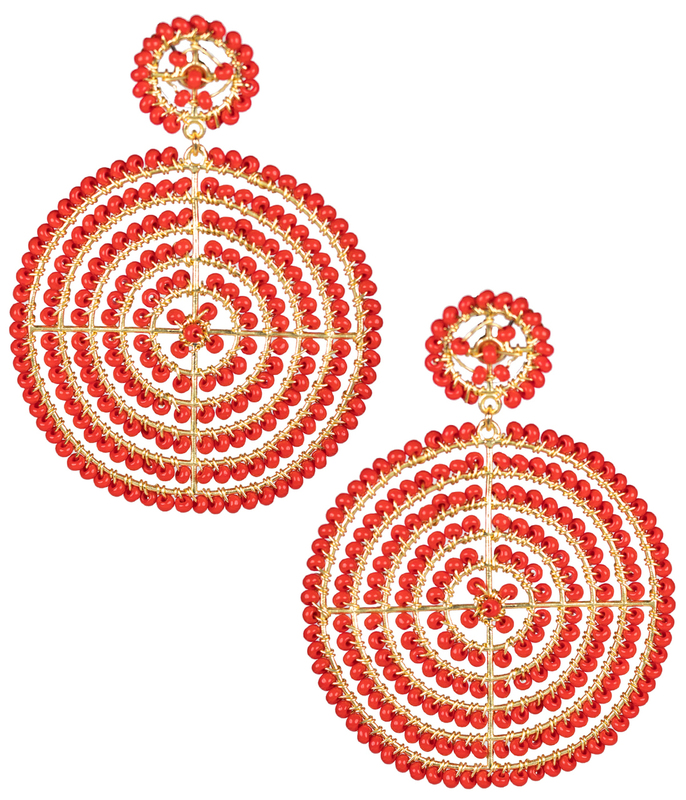 Brand new, never worn Lisi Lerch earrings! Clip-ons. 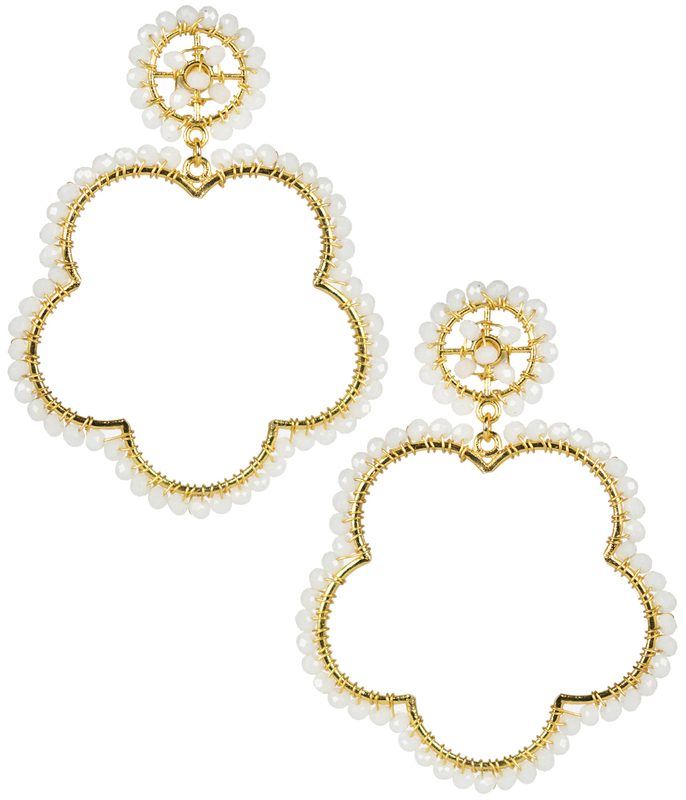 Brand new Lisi Lerch earrings (clip-on) in white. 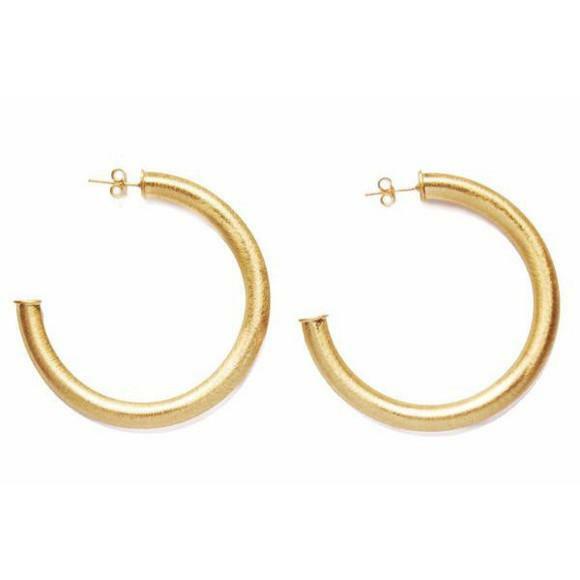 Brand new Moon and Lola half-hoop earrings. 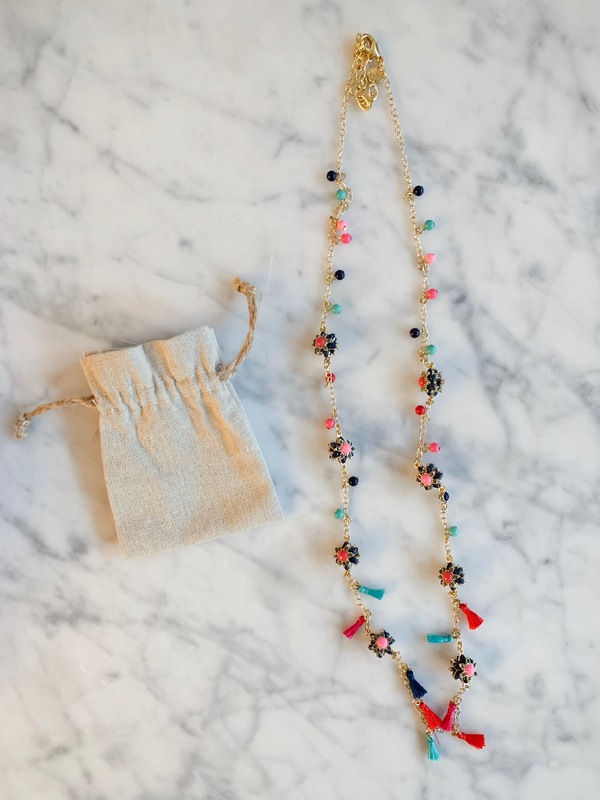 Brand new colorful long necklace from Talbots! Brand new with tags. My top is a little bit different; it has a ruffle along the neckline. But very close! Size XS.